We can’t think of a better way to enjoy early fall than exploring the Hudson Valley. This apple season; visit a plethora of places in the Hudson Valley to get your fill of apples for the fall. If apple picking isn’t for you, consider one of these apple-related activities, or even enjoy an apple-inspired recipe from a Hudson Valley mixologist. Dubois Farms offers you-pick all season with delicious baked goods, local farm products, handmade jewelry, candles, and lotions. Their New Tavern offers local wine, hard cider and beer. Plan your trip around one of their events such as their Crisp Hysteria Festival, Fall into Fall Festival, and Apple Daze Festival. Spend a day on Kesicke Farm enjoying their corn maze, wagon rides through the corn, hay rides, feed and pet our farm animals, and their apple cider donuts. They offer farm-raised natural beef, pork, lamb, and chicken, and farm-fresh eggs. Named one of Westchester Magazine’s Best Apple Orchards in the Hudson Valley, Salinger’s can satisfy your craving for fresh, delicious apples. This orchard has new varieties that come in daily, including Honey Crisp, Empire, Macon and many more. Enjoy their bakery treats as well. Dr. Davies is open every day during the fall season. Pick apples from over 4,000 trees and 15 different varieties. Enjoy hayrides, a pumpkin patch and corn maze. 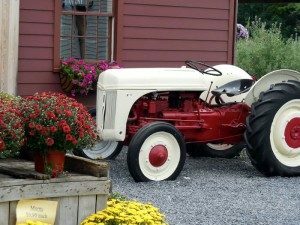 Celebrate its 102nd year of harvest, with Wilkens Farm. Pick your own apples, peaches and pumpkins all season long. Enjoy their farm market where they sell everything from their own pressed cider to freshly baked pies. 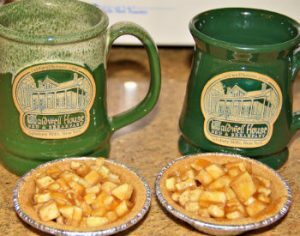 The Caldwell House Bed and Breakfast offers guests a slice of pie on their pillow from September 4 through 30. The inn bakes fresh pies including Cherry Apple Fudge and Pecan Pumpkin to put out slices on each guest’s pillow as a part of their turndown service. Goold Orchard’s Annual Festival & Craft Show is a celebration of Arts, Crafts, Agriculture and New York Wines on their 100+ acre apple orchard. 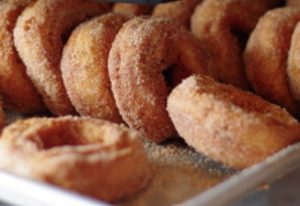 Stop by the Brookview Station Winery, Joe Daddy’s Hard Cider tent, or enjoy their fresh apple cider donuts! Enjoy tasting from numerous New York State cideries at Hunter Mountain September 22-23 during Oktoberfest. A voucher is $10, and provides tastings and a Hunter Mountain Oktoberfest cider-tasting glass. Ride on their Scenic Skyride while you’re there! Enjoy this rustic-style counter-serve spot in Albany featuring their classic and creative apple cider doughnuts. Cozy up with one of their hot beverages! Steps: Wet the rim of the martini glass and coat in cinnamon & sugar. Add 4 oz caramel vodka and 4 oz of vanilla vodka to shaker and pour into glass. Top off with a splash of apple cider.